Hello all! Wendy here and as 'tis the season big day is around the corner, I'm bringing you a "Merry & Bright" project today. 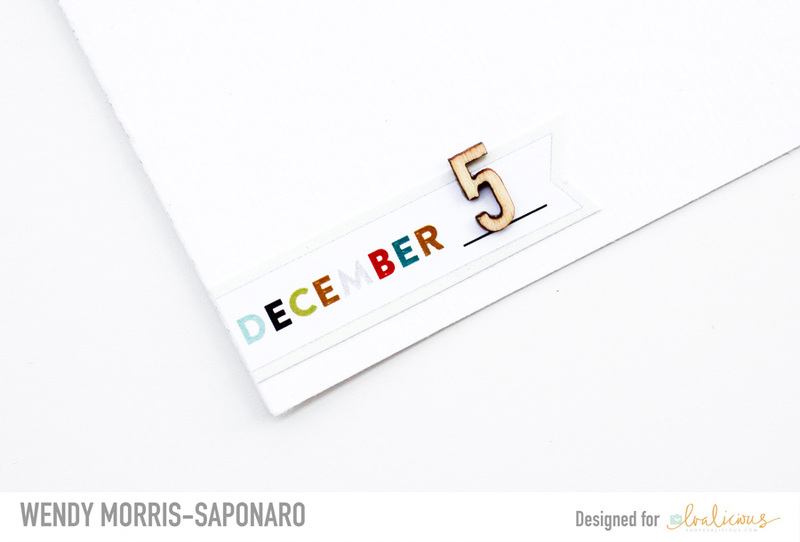 I've been working on documenting my December in a project life format and in the size of 6"x8" layouts. 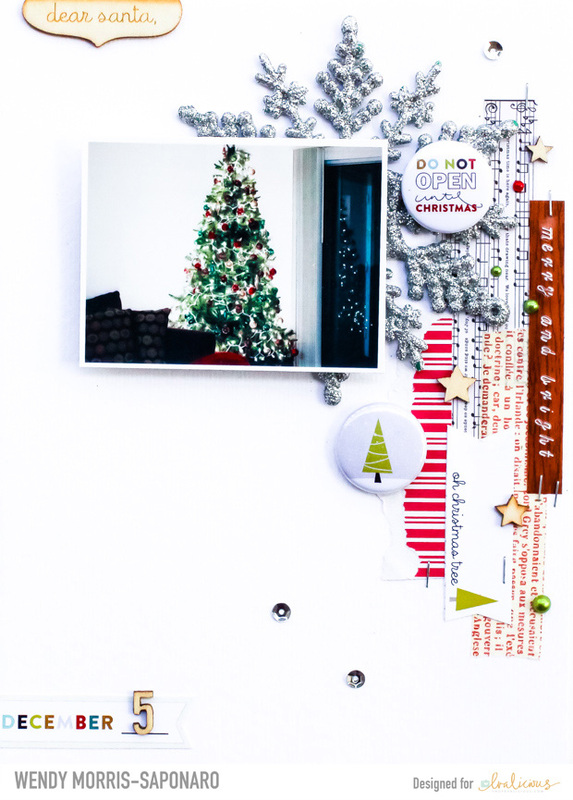 So, this layout is one of my pages I'm including in my December album. My husband, Enzo, surprised me one evening with setting up the Christmas tree and having it completely decorated upon my arrival home from work travel. I admit that he is quite the Martha Stewart, ha! Also, this is our first Christmas together (as we recently married the end of last month), so these daily moments are very special in every way. 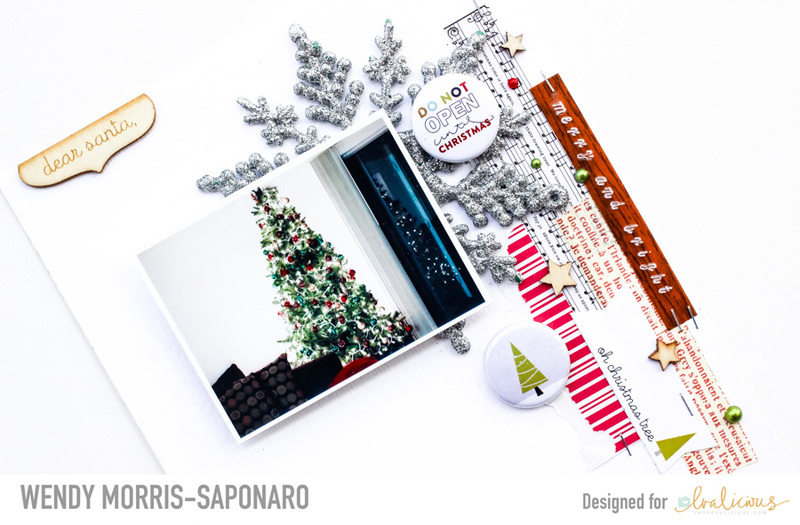 The Oh What Fun collection from Evalicious has the PERFECT accents - from wood veneers, badge buttons, labels - to documenting your December holiday memories. I layered some strips of patterned paper and washi tape. 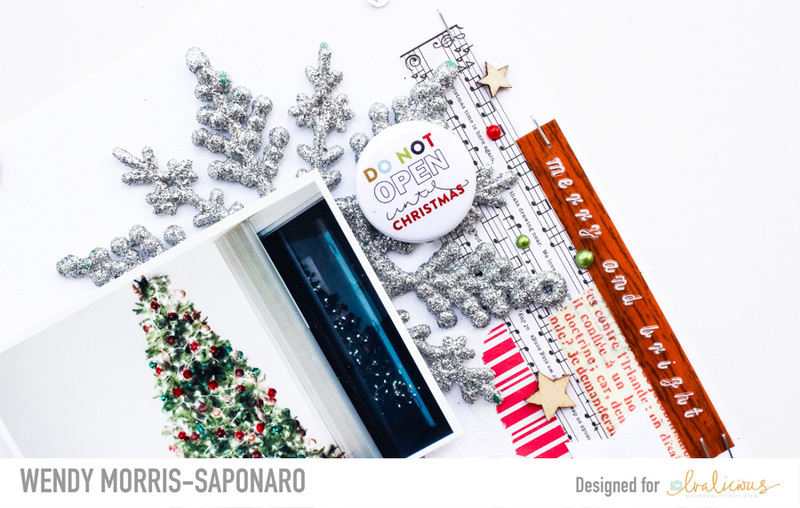 Then, I used the Oh What Fun badge buttons 'do not open until Christmas' and the cute little tree image as dimensional accents to my page. I say 'yes' to all wood veneers and the Oh What Fun wood veneers ('dear santa', stars) earned a fist pump from me to use on my layout. So, I sprinkled a few sweet wood veneer stars on my layout too. 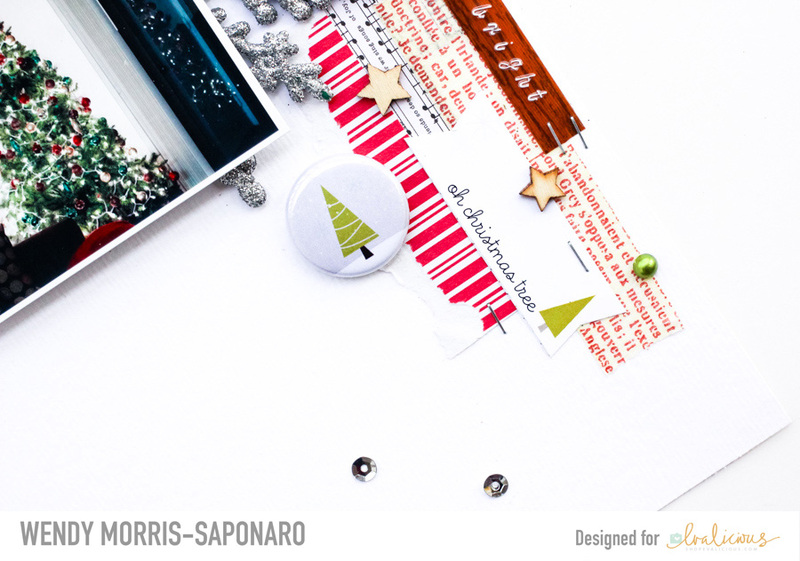 The Oh What Fun SnipSnip Labels are pure fun too! 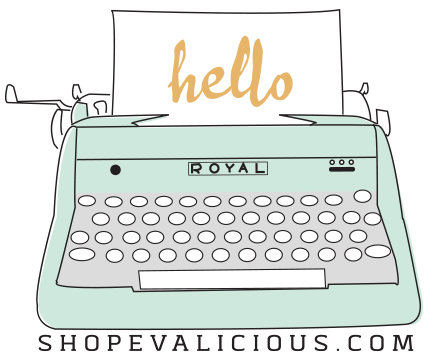 You can use them to add quick bits of journaling, date stamping or leave blank. 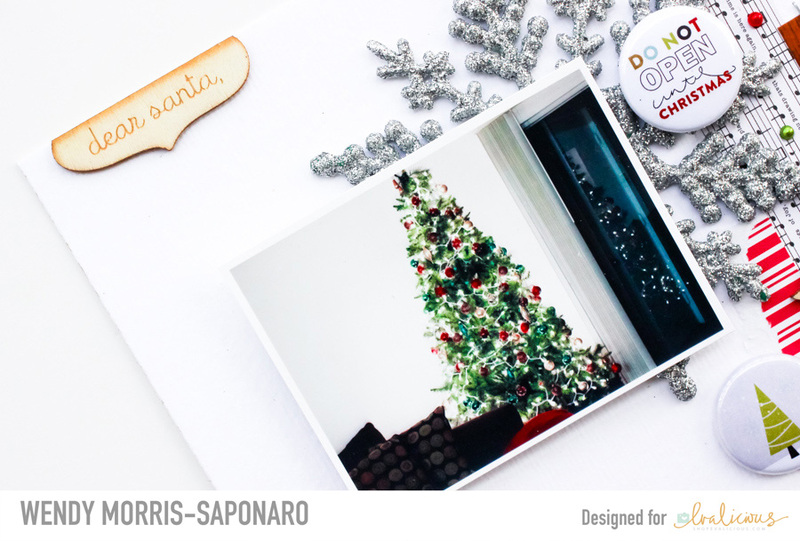 Here I used the 'oh christmas tree' label and 'DECEMBER' label to add the day. Now, the question is, 'Dear Santa', who has been naughty or nice? Ha! Hope you enjoyed my layout and Merry Xmas to all you dear Evalicious fans!